We have Japanese, Chinese, Korean, Thai, and Vietnamese pairs from around the world. Unique engraved custom chopsticks, boxes and personalized sleeves. We have elegant, wedding and dishwasher safe pairs. 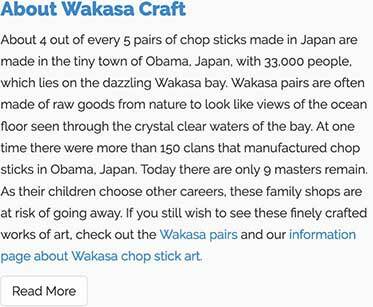 Explore Wakasa, Nishijin, and Washi chop sticks from Japan. Some of the most interesting, fun and unique styles. Find a case, box or sleeve for your favorite pair. The best, nicest, high quality pairs. Perhaps the world's finest pairs, hand-made in Japan. Rests and holders in pretty and fun designs for your table. We hand-select products from all around the world, with magnificent styles of art and design, from fun and lighthearted to elegant and elaborate. 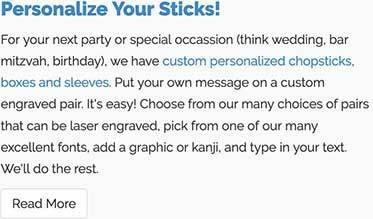 Personalized chopsticks and boxes to make an amazing gift for that special someone. Custom sleeves with your message and theme are great for parties, wedding and events. We also have chopsticks with custom sleeves for restaurants. And we have lots of terrific accessories like rests, cases and sleeves. 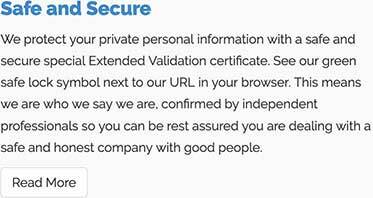 We strive to deliver outstanding customer service with our 90 day return policy and Free Shipping with $50 purchase.